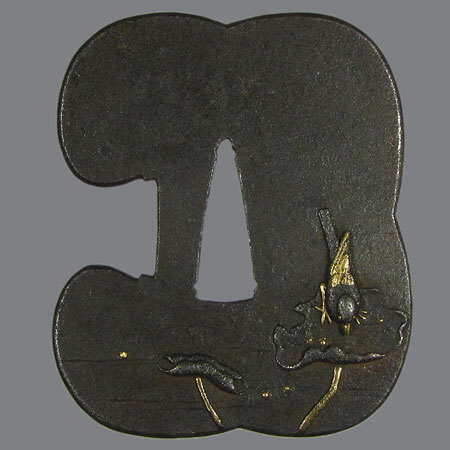 Tsuba of unusual shape, hamidashi. 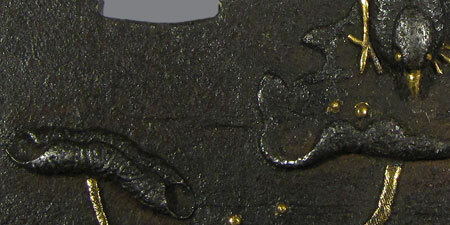 A bird, sitting above the water on the leaf of lotus is carved in high relief. Some details are gilded, dots of gold inlay in the water symbolize air bubbles. 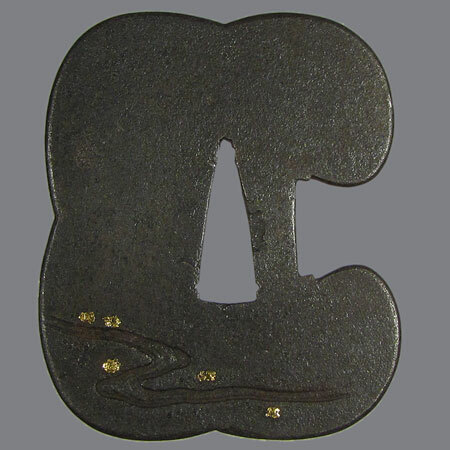 On the edge of this tsuba and on the inner walls of nakago ana there are subtle linear tekkotsu, showing that the plate is made of layered iron. No inscription. Style - Nara. 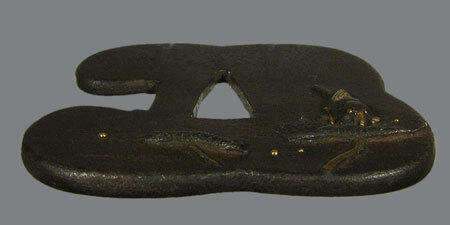 Age - late Edo. Iron, takabori, nunome zogan и ten zogan with gold. Kawari gata, kaku mimi koniku; 6,7 х 5,7 cm.